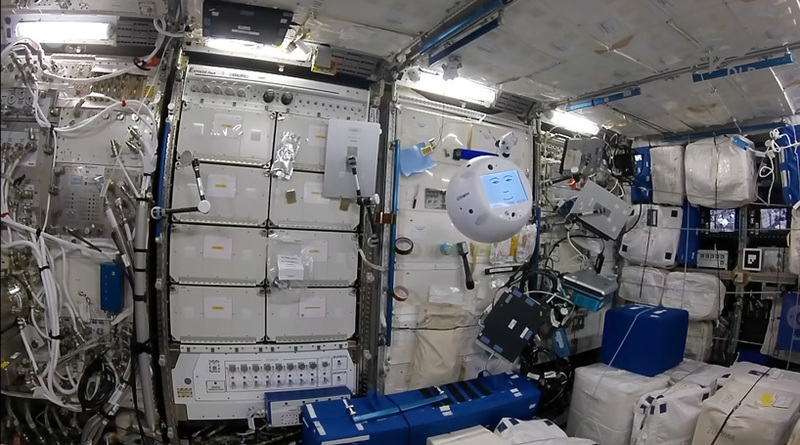 earlier this year, designboom reported on the international space station’s new AI-powered robot, CIMON, a 3D-printed plastic sphere designed to test human-machine interaction in space. 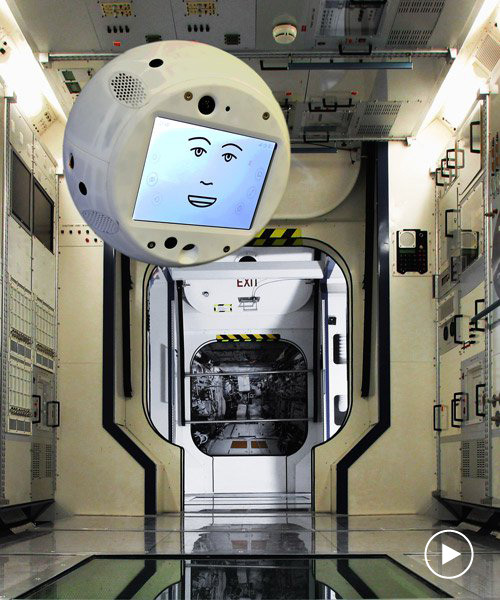 short for crew interactive mobile companion, CIMON is described as a ‘mobile and autonomous assistance system’ and is designed to float around the station and help answer astronauts’ questions. 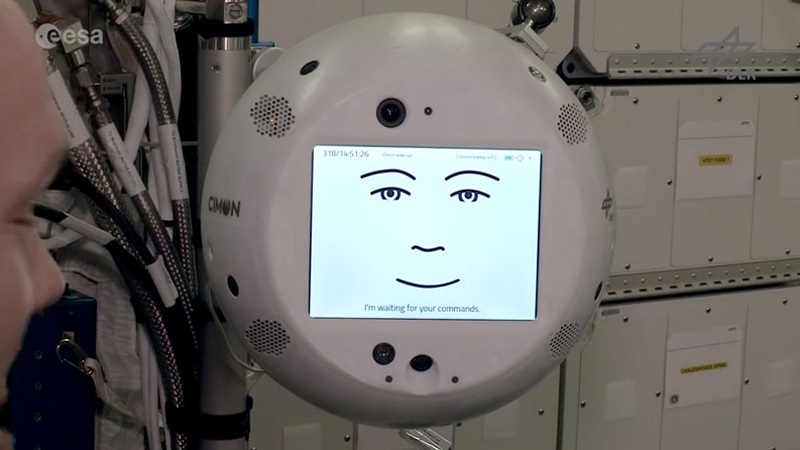 now, in a new video release by the european space agency, CIMON has made its official debut successfully interacting with a crew member. 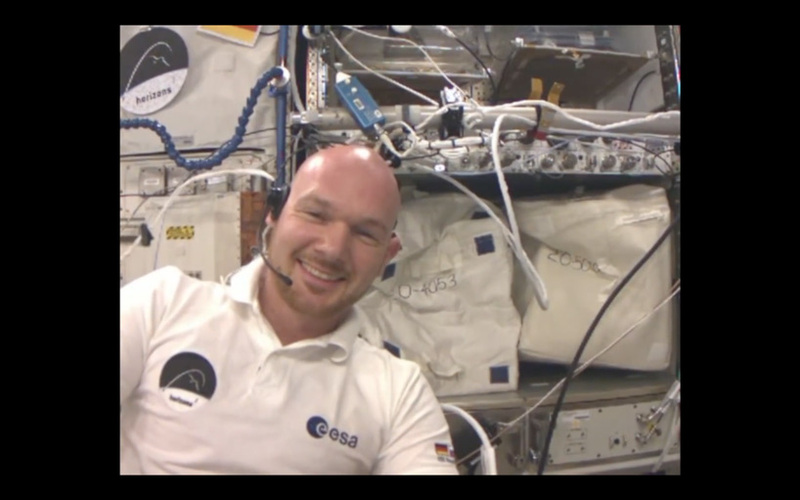 ESA astronaut alexander gerst welcomes the new face to the columbus laboratory. after introducing himself, where he comes from and what he can do, CIMON tests his free-flying abilities, helps alexander with a procedure and even plays alexander’s favourite song ‘man machine’ by kraftwerk. in fact, CIMON likes the music so much, he does not want to stop. the $6 million, medicine ball-sized, ‘flying brain’ robot was built by airbus under a contract awarded by the german aerospace center (DLR) and uses artificial intelligence software by IBM watson. its scientific aspects are overseen by researchers at ludwig maximilians university clinic in munich. it uses 12 internal fans, which allow it to move in multiple directions while floating in the microgravity conditions of space. it can display instructions on its screen, capture video, play music, and even search for objects on board. according to the ESA, both CIMON’s developers and alexander are happy with his initial outing and hope to see him in action again soon. 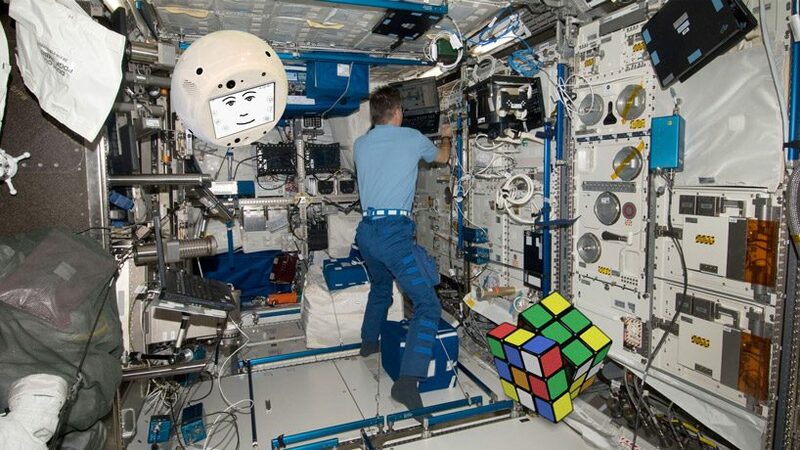 no further sessions other than this are planned during the horizons mission at this stage but it could mark the beginning of exciting collaboration between astronauts, robotic assistants and possible future artificial intelligence in space.